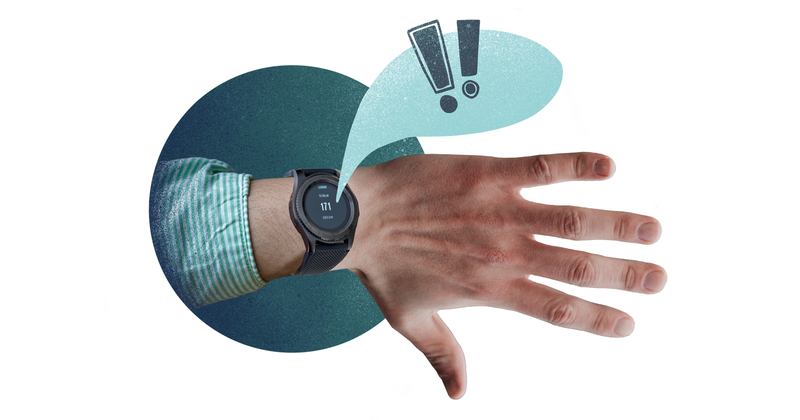 A smartwatch has several features to motivate its wearer to exercise. One of these features on my Samsung Gear issues an alert, “Great workout, keep it up!” after it senses an increased heartrate. For me, a former collegiate athlete who was in peak physical condition well into his 30s, an alert like that could be welcomed in the middle of a rigorous workout. A few days ago, however, the alert went off after only three kicks of a leg. I was simply trying to load a log into my outdoor wood boiler, not exercise. The alert sounded sarcastic, not sincere. I was motivated, but not in the positive manner the watchmaker probably intended. The device humbled me, for it might well have said, “Get back in shape; you’re hardly moving, and your heart rate is already increasing.” (The fact that this came from an impersonal piece of electronics and not a coach, friend, or personal trainer, made it even worse). Will there be a correction in the market for this smartwatch function? Maybe not? Perhaps people like me will set a goal to never receive an alert like this unless we’re actually exercising. If so, it served its purpose. And maybe other people in a similar situation will think, “Neat, I actually got in a little workout.” The point is that a well-intended piece of communication can be misinterpreted by the person on the receiving end. The Mackinac Center communicates with you in many ways, and our ideal is to be pitch- perfect. Knowing we can always improve in this area — and the ideal is hard to hit all the time — we occasionally survey our friends to learn how we can get better. Later this year, we’ll conduct a survey via mail, email and phone. We want to hear from you so that we don’t unintentionally communicate something to our friends, like the watchmaker did with me. If you’d like to share how we can improve our communication with you in advance of the survey, please contact the advancement office at 989-631-0900 and I or someone from our team will respond promptly.